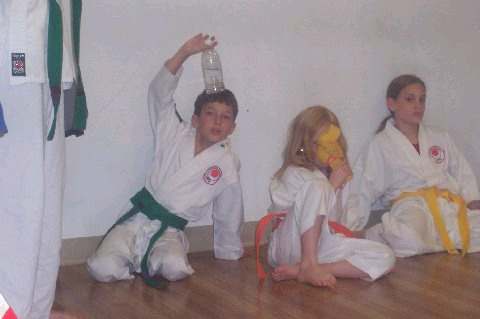 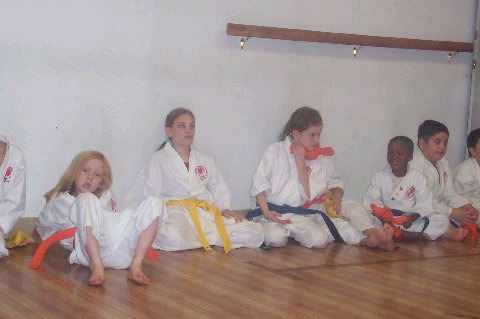 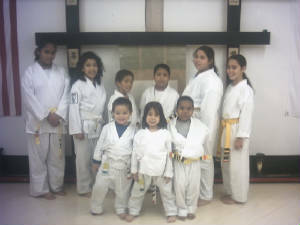 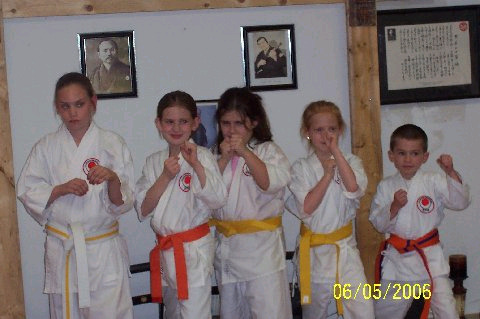 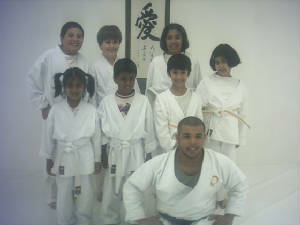 Some of the students from R.I.Shotokan and R.I.Shojukempo Hombu dojo. 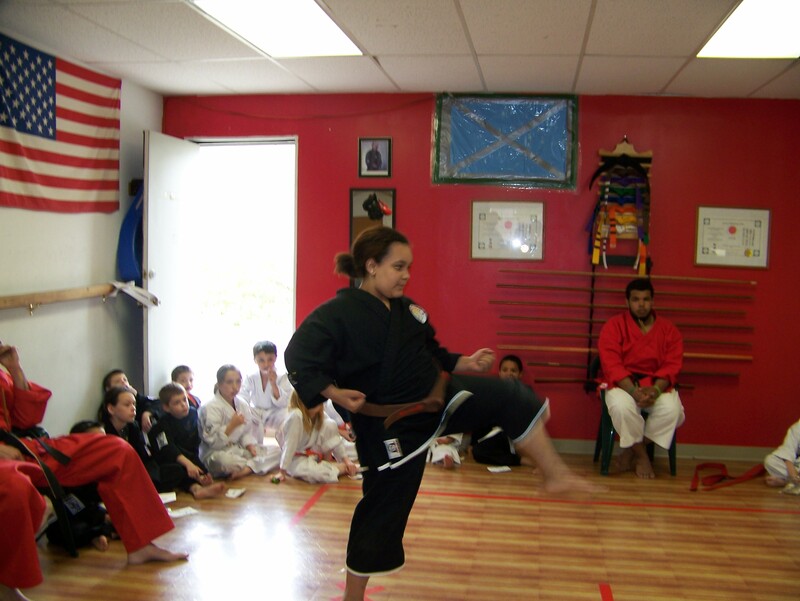 Mattie Murray showing off her Medial at the 2nd Annual Shojukempo Challenge on june 30th of this year. 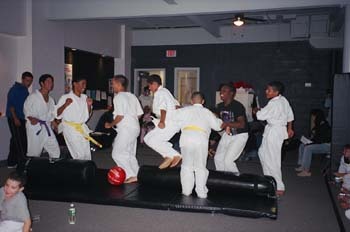 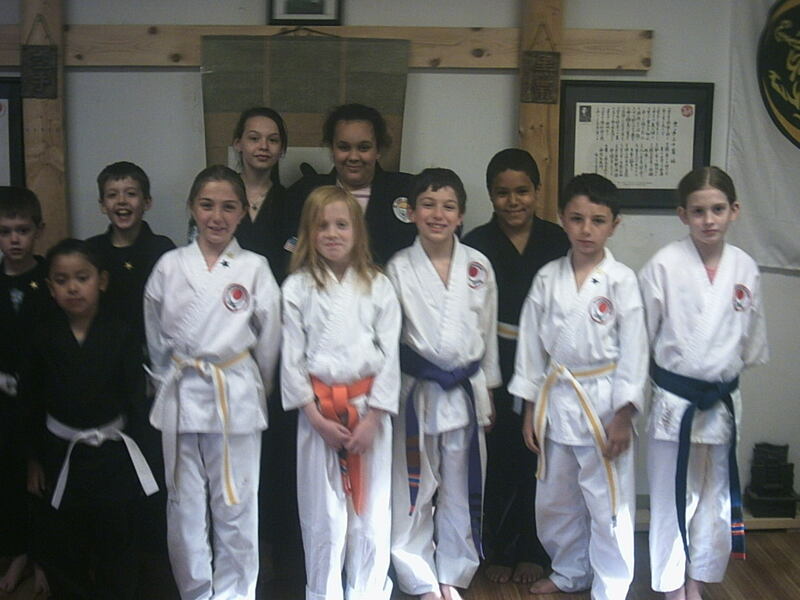 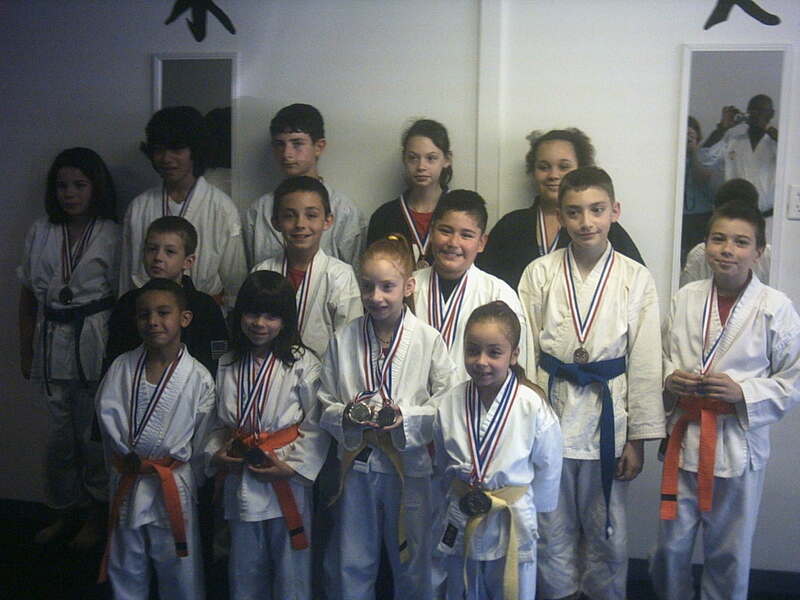 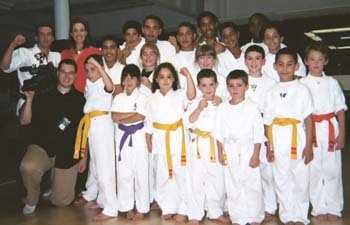 students from Traditional Martial Arts Dojo & R.I.Shojukempo International in Cranston, Rhode Island. 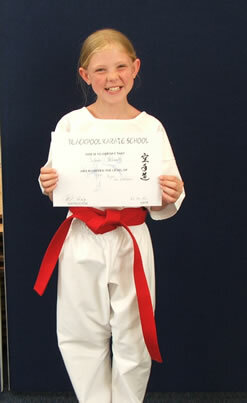 Miss Deseree Cama performing Palama set or Monkey form 1 at the R.I.Shotokan Dojo enterschool challenge. 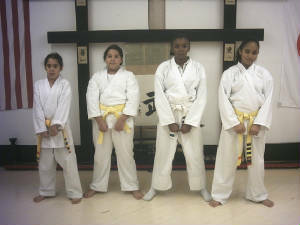 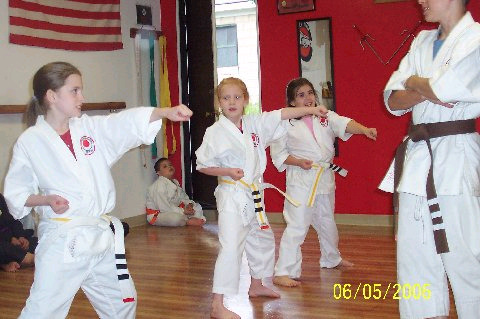 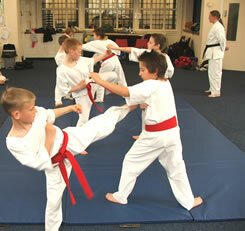 Young Students working out at the R.I.Shotokan Karate-do Hombu Dojo. 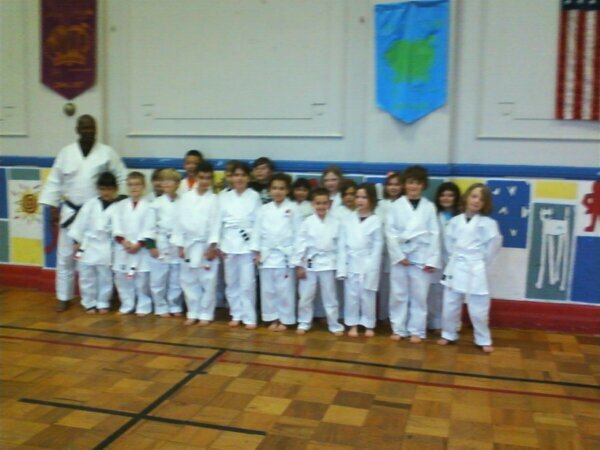 Cranston, R.I.
All the Students from Ishi - Dojo in Providence, R.I.
Sensei Brian and Students at Ishi - Dojo Providence, R.I.
Students receving their belts at R.I.Shotokan Karate-do Hombu Dojo. 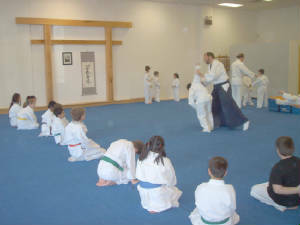 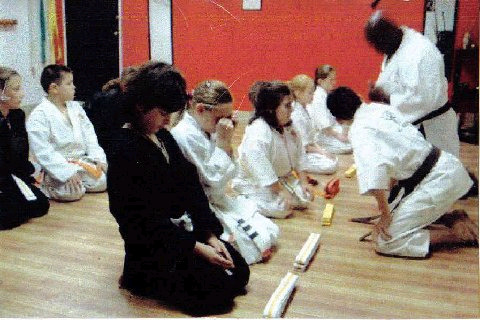 R.I.
Children 's Class at the Methuen Aikido Dojo Methuen MA. 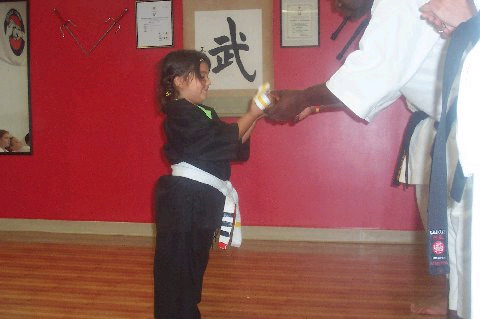 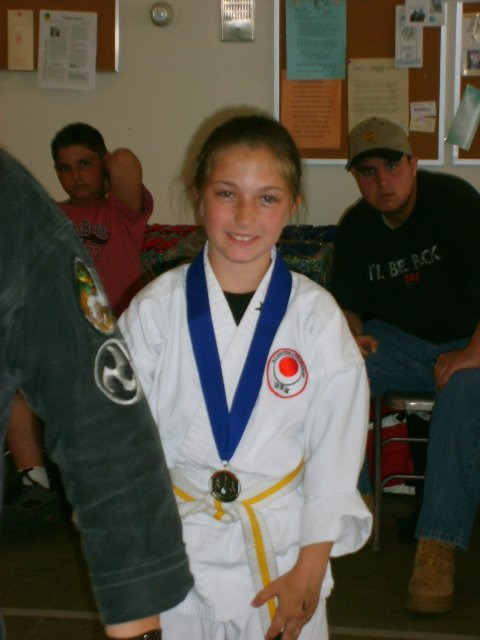 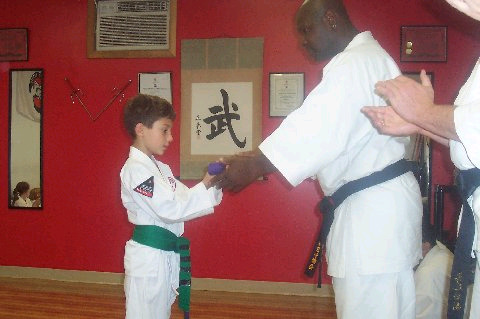 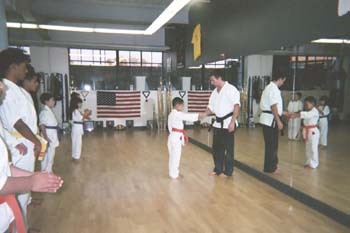 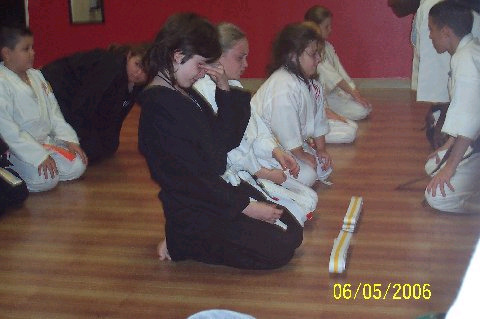 Sarah receiving her Kare-Yellow Belt from Prof. Larry S.L. 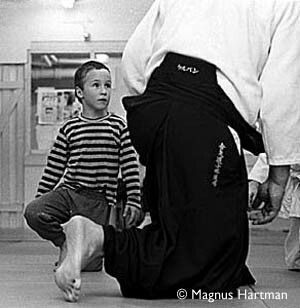 Martin at the R.I.Shojukempo International Hombu Hq. 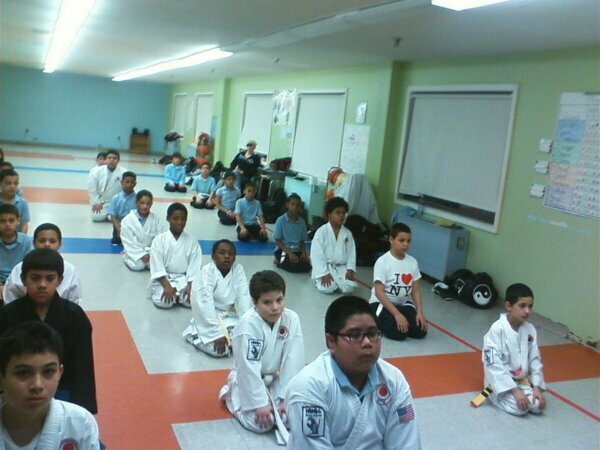 in Cranston, Rhode Island. 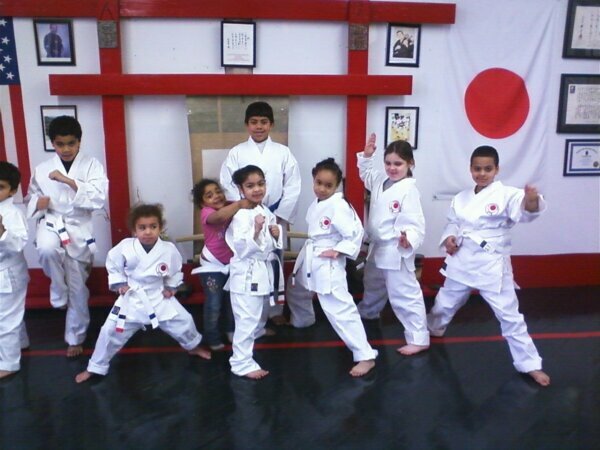 Please send in your Pictures along with your Dojo name, State where you are from!